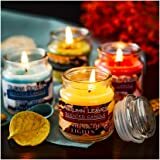 SOY & NATURAL: 100% Soy, All Natural Candle. There is nothing more refreshing than the smell of the gahden. May the floral scent of white gardenia bring you back to your favorite Boston memories & remind you to always stop and smell the flowers. The Garden is the home to Boston's Basketball and Hockey teams; which means there have been a lot of history and memories made there! It's only fitting that it have it's own candle. 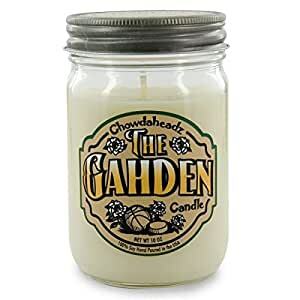 The fresh gardenia and floral scents of this candle will make it feel like Spring all year long! Remember, this candle is soy, all natural, made in the USA by hard working people in Boston (We are not Yankee fans! ).